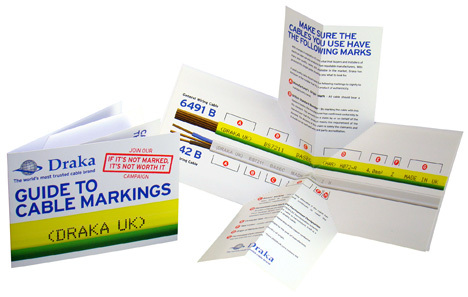 Credit card, A7, A6 and A5 sizes as standard. 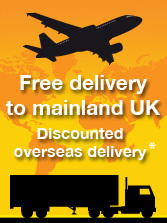 170mm diameter circular version also available. 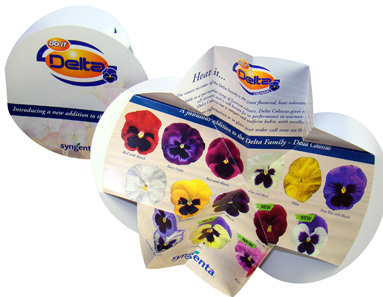 These very popular interactive mailer marketing products come in a variety of sizes and folding combinations. 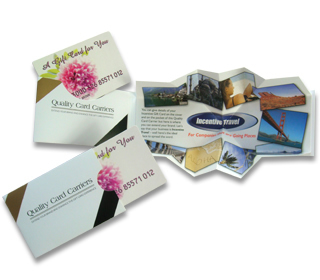 Standard cover sizes for the Starburst pop up paper fold are A6 and A5 though we do other sizes from credit card size and we have done A4 covers which open to roughly A2 as specials. 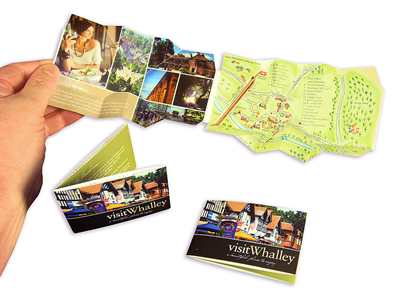 Whilst regular Starburst pop up paper folding promotional products tend to be rectangular we can do custom shapes too. 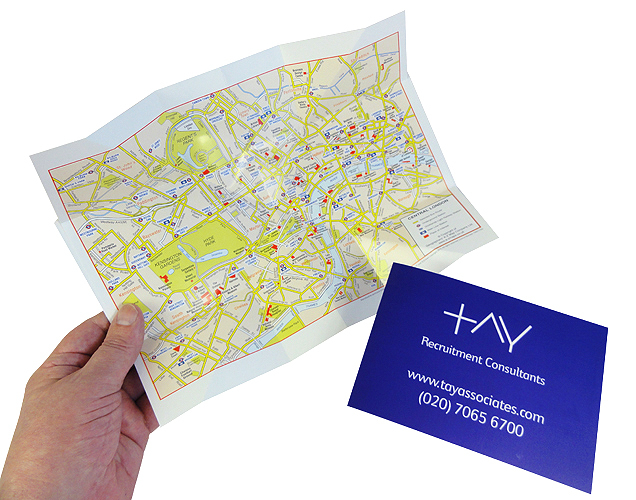 Two such effective shapes are the Circular Starburst and the Cross Starburst. 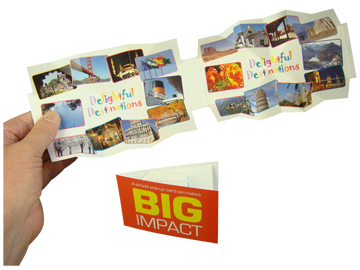 For extra impact you can have a Double Starburst fold in the credit card size and A7 size pocket product range too; two starburst pop up paper folding mechanisms opening up to reveal your information and/or advertising. 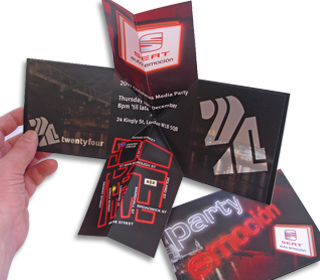 The Starburst products are very popular for business event marketing; event invitations, conference agendas and exhibition guides in particular. 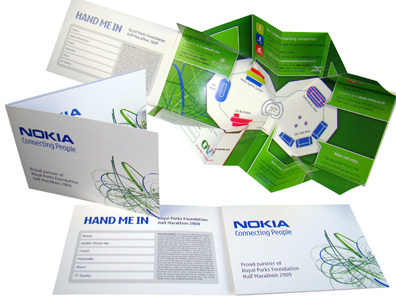 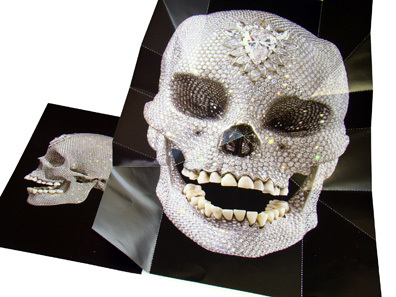 The starburst fold display creates a very interactive and unique interactive mailer or event publicity product.